I’ve seen this recipe all over Pinterest and I’ve tried it before with berries but this time I wanted to try it with peaches, and oh boy it came out pretty dang good! It’s super easy with only 3 ingredients. It takes less than 5 minutes to prepare which is amazing considering it’s a dessert. I’m sure most of you have come across this recipe, but for those of you who haven’t tried it I have to say it’s definitely worth it, especially when you’re pressed on time and need a quick prep dessert. CAN YOU BELIEVE THAT’S IT!? Cook for about 35-45 minutes. I topped mine with vanilla ice cream before devouring! 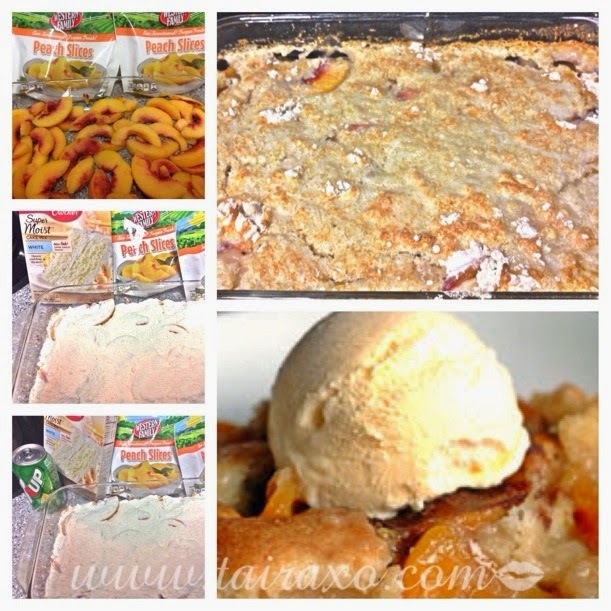 This entry was posted in Food & Drinks and tagged Books by tairaxo. Bookmark the permalink.